Definition: A simple bone cyst is NOT A TRUE CYST. There is no epithelial lining of this entity. The cause of this entity is unknown, but causes such as trauma have been suggested in the past. It has many other names it is referred to such as; traumatic bone cyst, solitary bone cyst and hemorrhagic bone cyst. Location: Most commonly found in the posterior mandible. Edge: Well-defined to well-localized. If a corticated border is evident it will be a very thin (delicate) appearing border. 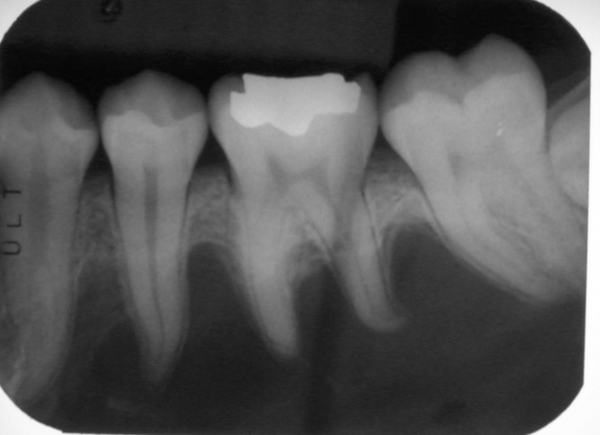 Shape: Scalloping between the roots of adjacent teeth. 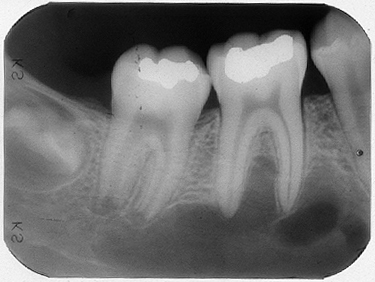 Other: It may displace or resorb adjacent teeth as it enlarges, but this is uncommon.